Niti Taylor is currently wooing the audience with her amazing performance in Star Plus’ Dhinchak Ishqbaaz, which is the second season of Ishqbaaz produced by Gul Khan. Niti Taylor has always made us love her on-screen characters and fashion statements, whether it was as Nandini Murthy from Kaisi Yeh Yaariaan or Mannat Kaur Khurana from Dhinkchaak Ishqbaaz. 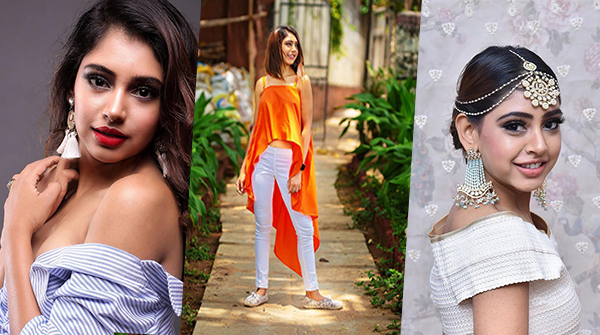 While the on-screen jodi is soon going rule television screens soon, let’s have a look at Niti’s off-screen, real-life fashion views. Now and then the actress is seen sharing her beautiful clicks in various different outfits. Niti surely manages to look gorgeous and dazzles in all of them, let it be traditional or western. 3 things you never leave home without – My phone, my charger and money. My fashion icon – Anushka Sharma, I like what she wears and how she carries herself. Even Katrina Kaif, OMG I think she is hot! The most stylish person in the showbiz – Jennifer Winget for me. I find her style really good. 1. A casual day out with friends – A dress OR jeans and a top. Kaisi Yeh Yaariaan Season 4 To Be Launched By Voot? Indian TV : 6 Hot N Happening News You Just CANNOT AFFORD To MISS!